Blessed are the nations that will freely open their national doors for the called-out ones, for an exodus of Christians and Jews to appear before the Lord during the coming cataclysm; they will suffer loss yet be saved for the coming Kingdom and reign of the Messiah. Cursed are the nations that persecute the children of God, nations that will seek to hinder the work that God is doing in the world. Every nation that falls on the Rock will be broken without remedy, and every nation on which the Rock falls will be ground to powder and blown to the winds, as the Lord has said. Cursed are those who curse Israel, and blessed are those who bless the nation of God, as Scriptures decree from His Holy Throne. 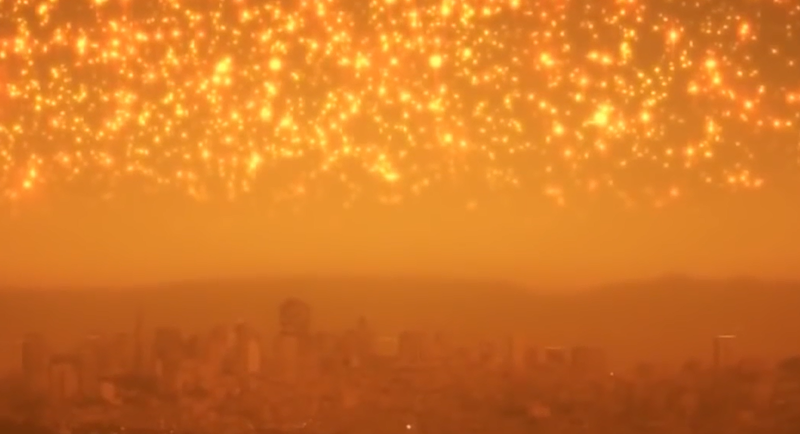 This Kingdom being formed, and this nation touching down to Earth, is as an “apple” from the fiery eyes of the Elohim YHVH; any nation daring to put their fingers in those eyes, who dare to blind His seers, will be burned with His fiery indignation. So a warning goes out in the Apocalypse: Do not bring your national houses down upon yourselves, for it is truly of a fearsome and foolish recourse to trust in national powers to hinder the work in which the Lord is doing in this world. The boundaries of national borders have reached their appointed times to submit to the Lord; mortals cannot close what He is opening to return His people home, and they cannot open what He shuts. As a nationalist for border control and conservative, I write the truth of Scriptures: For nations that stand in the way of the Lord, He will break their national resolve without remedy. The whole world is His, and, indeed, the rest of His people must be allowed to make their journey to His sacrificial feast on the third millennial day, where Mount Zion will be the fulfillment of the shadows of Tabernacles and the Law given at Mount Sinai. 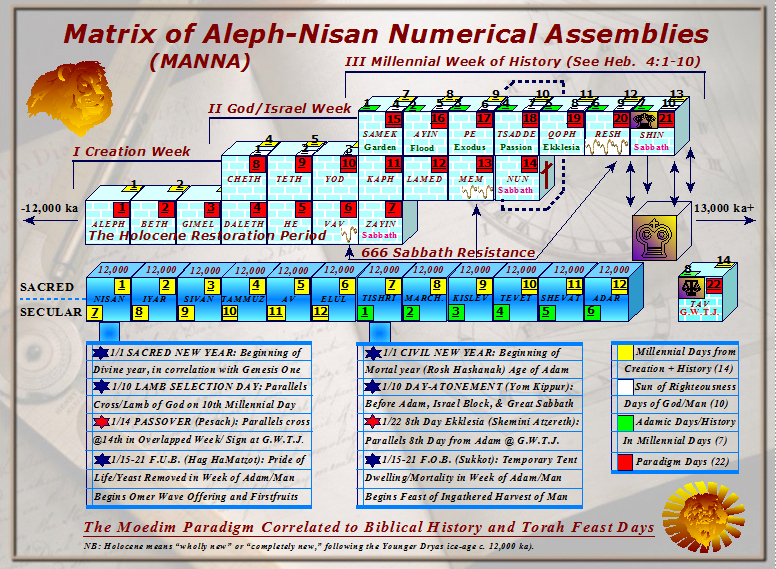 In the 21st day and millennium in the days-pattern of the Moedim Paradigm of God; the 13th day and millennium from the beginning of the great Genesis mystery, at year 12,001; the 7th day and millennium from the creation of Adam in God’s image, at year 6,001; the 3rd day and millennium from the cross, at 2,001 years; in the seventh seal and year of the Apocalypse week; on the morning of the Great Sabbath; being around year 2029 A.D./C.E. +/-4 in our time; the Lord arises to shake the planet, with the sounding of seven trumpet warnings and seven vials of wrath poured out with those warnings, to subject the rebellious world to the panoramic truths of His Word and the messianic Kingdom in which all nations shall indeed serve at the return of the King, Jesus Christ (a.k.a. Yeshua haMashiach). In the last two articles we considered the Feast of Firstfruits of the early Ekklesia (Shavuot, Pentecost) and the Feast of Ingathered Fruits (i.e., those who are gathered for the coming of Christ) in fulfillment of Tabernacles (Sukkot). Thus, in this chapter, I will join several passages, including the trumpets/shofars and vials/bowls while keeping the sequence of each- to confirm what I postulate. Moreover, within this chapter we will take the last showing of the curses and wrath and join it with the previous passages. When He opened the seventh seal [7th year], there was silence in heaven for about half an hour (Rev. 8:1). Then I witnessed another sign in heaven, great and marvelous: seven angels having the seven last plagues, for in them the wrath of God is complete (Rev. 15:1). And I saw the seven angels who stand before God, and to them were given seven trumpets. Then another angel, having a golden censer, came and stood at the altar. He was given much incense that he should offer it with the prayers of all the saints upon the golden altar which was before the throne. And the smoke of the incense, with the prayers of the saints [for vengeance of martyrdom], ascended before God from the angel’s hand. Then the angel took the censer, filled it with fire from the altar, and threw it to the earth. And there were noises, thunderings, lightnings, and an earthquake (Rev. 8:2-5). After these things I looked, and behold, the temple of the tabernacle of the testimony in heaven was opened. And out of the temple came the seven angels having the seven plagues, clothed in pure white linen, and having their chests girded with golden bands. Then one of the four living creatures gave to the seven angels seven bowls full of the wrath of God who lives forever and ever. The temple was filled with smoke from the glory of God and from His power, and no one was able to enter the temple till the seven plagues of the seven angels were completed (Rev. 15:5-8). So the seven angels who had the seven trumpets prepared themselves to sound (Rev. 8:6). Then I heard a loud voice from the temple saying to the seven angels, “Go and pour out the bowls of wrath of God on the earth” (Rev. 16:1). The first angel sounded (Rev. 8:7): Then I saw another angel flying in the midst of heaven, having the everlasting gospel to preach to those who dwell on the earth– to every nation, tribe, tongue, and people- saying with a loud voice, “Fear God and give glory to Him, for the hour of His judgment has come; and worship Him who made heaven and earth, the sea and springs of water” (Rev. 14:6-7). So the first went and poured out his bowl upon the earth (Rev. 16:2). And hail and fire followed, mingled with blood, and they were thrown to the earth. And a third of the trees were burned up, and all green grass was burned up (Rev. 8:7), and a foul and loathsome sore came upon the men who had the mark of the beast and those who worshiped his image (Rev. 16:2). .
2nd ANGEL’S WARNING AND WRATH POURED OUT ON SEAS: . Then the third angel sounded (Rev. 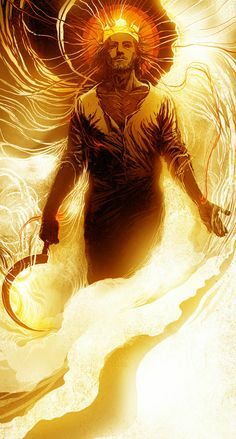 8:10): And a third angel followed them, saying with a loud voice, “If anyone worships the beast and his image, and receives his mark on his forehead or on his hand, he himself shall also drink of the wine of the wrath of God, which is poured out full strength into the cup of His indignation. He shall be tormented with fire and brimstone in the presence of the holy angels and in the presence of the Lamb. 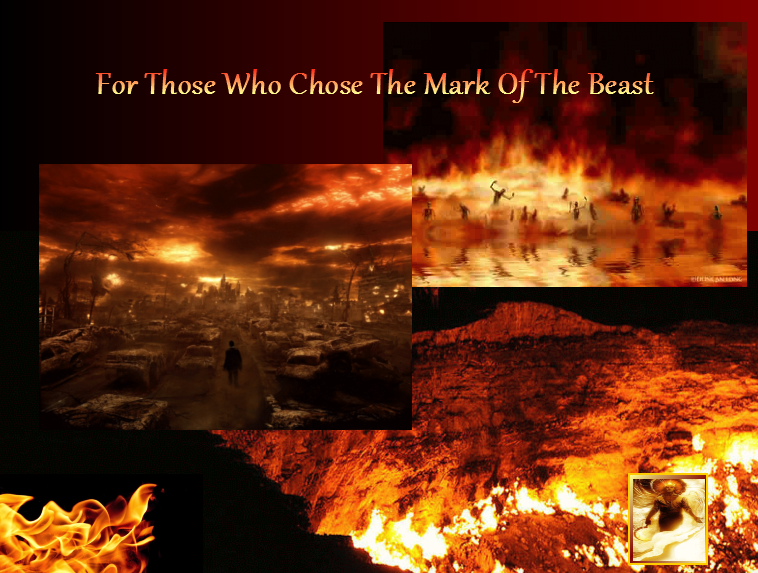 And the smoke of their torment ascends forever and ever; and they shall have no rest day or night, who worship the beast and his image, and whoever receives the mark of his name.” Here is the patience of the saints; here are those who keep the commandments of God and the faith of Jesus (Rev. 14:9-12). Then the third angel poured out his bowl on the rivers and springs of water (Rev. 16:4). And a great star fell from heaven, burning like a torch, and it fell on a third of the rivers and on the springs of water. The name of the star is Wormwood. A third of the waters became wormwood, and many men died from the water, because it was made bitter (Rev. 8:10-11). And they became blood. And I heard the angel of the waters saying: “You are righteous, O Lord, the One who is and who was and who is to be, because You have judged these things. For they have shed the blood of saints and prophets, and you have given them blood to drink. For it is their just due.” And I heard another from the altar saying, “Even so, Lord God Almighty, true and righteous are Your judgments” (Rev. 16:4-7). Then the fourth angel sounded (Rev. 8:12). Then I heard a voice from heaven saying to me, “Write: ‘Blessed are the dead who die in the Lord from now on. “Yes,” says the Spirit, that they may rest from their labors, and their works follow them.’” Then I looked, and behold, a white cloud, and on the cloud sat One like the Son of Man, having on His head a golden crown, and in His hand a sharp sickle. (Rev. 14:13). Then the fourth angel poured out his bowl on the sun and power was given to him to scorch men with fire (Rev. 16:8). And a third of the sun was struck, a third of the moon, and a third of the stars, so that a third of them were darkened. A third of the day did not shine, and likewise the night (Rev. 8:12). And men were scorched with great heat, and they blasphemed the name of God who has power over these plagues; and they did not repent and give him glory (Rev. 16:9). With these signs, the Lord declares to the rebellious world that His whole Word is true. In the first millennial day, when Adam lived, the Lord brought a curse on the earth because of rebellion (see Gen. 3:17). In the second millennial day, when Noah lived, the Lord brought a curse of the seas because of rebellion (see Gen. 7:11). In the third millennial day, when Moses lived, the Lord brought a curse from the river and fresh waters because of rebellion (see Ex. 7:17-25). In the fourth millennial day the Lord struck the Stars of Jacob, the Moon of Perdition, the Sun of Righteousness, and He darkened the sun as a sign of their rebellion at the death of Yeshua HaMashiach (see Mark 15:33). Now consider the end of the fourth day, when the Son of Man came on a cloud of witnesses, and the crown the Romans gave Him was a wreath of thorns; this is also perceived in the reaping Son of Man during the 4th plague. The Gospel of Salvation went forth, blessing all who died in the Lord. The spiritual harvest was ready (see John 4:35), and those who were reaping in Him gained eternal life, and their dead bodies will not be left for dead in vain. Hence, the break in time in the plagues expresses time after the cross. Then the fifth angel sounded (Rev. 9:1). And another angel came out of the temple, crying with a loud voice to Him who sat on the cloud, “Thrust in your sickle and reap, for the time has come for You to reap, for the harvest of the earth is ripe.” So He who sat on the cloud thrust in His sickle on the earth, and the earth was reaped. Then another angel came out of the temple which is in heaven, he also having a sharp sickle (Rev. 14:14-17). Then the fifth angel poured out his bowl on the throne of the beast (Rev. 16:10). And I saw a star fallen from heaven to the earth. To him was given the key to the bottomless pit. And he opened the bottomless pit, and smoke arose out of the pit like the smoke of a great furnace. So the sun and the air were darkened because of the smoke of the pit. Then out of the smoke locusts came upon the earth. And to them was given power, as the scorpions of the earth have power. They were commanded not to harm the grass of the earth, or any green thing, or any tree, but only those men who do not have the seal of God on their foreheads. And they were not given the authority to kill them, but to torment them for five months. Their torment was like the torment of a scorpion when it strikes a man. In those days men will seek death and will not find it; they will desire to die, and death will flee from them. The shape of the locusts was like horses prepared for battle. On their heads were crowns of something like gold, and their faces were like the faces of men. They had hair like women’s hair, and their teeth were like lions’ teeth. And they had breastplates like breastplates of iron, and the sound of their wings was like the sound of chariots with many horses running into battle. They had tails like scorpions, and there were stings in their tails. Their power was to hurt men five months. And they had as king over them the angel of the bottomless pit, whose name in Hebrew is Abaddon, but in Greek he has the name Apollyon (Rev. 9:1-11). And his kingdom became full of darkness; and they gnawed their tongues because of the pain. They blasphemed the God of heaven because of their pains and their sores, and did not repent of their deeds (Rev. 16:10-11). One woe is past. Behold, still two more woes are coming after these things (Rev. 9:12). Then the sixth angel sounded (Rev. 9:13). And another angel came out from the altar, who had power over fire, and cried with a loud cry to him who had the sharp sickle, saying, “Thrust in your sharp sickle and gather the clusters of the vine of the earth, for her grapes are fully ripe (Rev. 14:18).” And I heard a voice from the four horns of the golden altar which is before God, saying to the sixth angel who had the trumpet, “Release the four angels who are bound at the great river Euphrates (Rev. 9:13-14).” Then the sixth angel poured out his bowl on the great river Euphrates, and its water was dried up, so that the way of the kings from the east might be prepared (Rev. 16:12). So the four angels, who had been prepared for the hour and day and month and year, were released to kill a third of mankind. 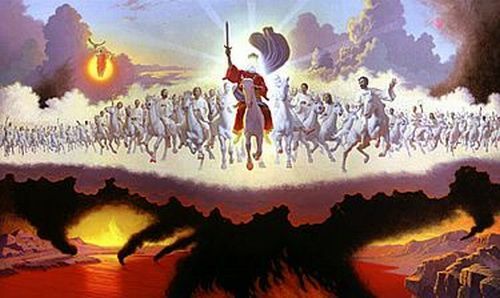 Now the number of the army of the horsemen was two hundred million; I heard the number of them (Rev. 9:15-16). And I saw three unclean spirits like frogs coming out of the mouth of the dragon, out of the mouth of the beast, and out of the mouth of the false prophet. For they are spirits of demons, performing signs, which go out to the kings of the earth and of the whole world, to gather them to the battle of that great day of God Almighty (Rev. 16:13-14). 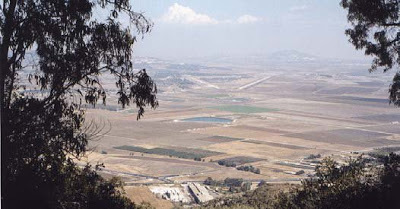 And they gathered them together to the place called in Hebrew, Armageddon [Mount of Meggido] (Rev. 16:16). And thus I saw the horses in the vision: those who sat on them had breastplates of fiery red, hyacinth blue, and sulfur yellow; and the heads of the horses were like the heads of lions; and out of their mouths came fire, smoke, and brimstone. By these three plagues a third of mankind was killed- by the fire and the smoke and the brimstone which came out of their mouths. For their power is in their mouth and in their tails; for their tails are like serpents, having heads; and with them they do harm (Rev. 9:17-19). So the angel thrust his sickle into the earth and gathered the vine of the earth, and threw it into the great winepress of the wrath of God. And the winepress was trampled outside the city, and blood came out of the winepress, up to the horses’ bridles, for one thousand six hundred furlongs [stadia, about 184 miles] (Rev. 14:19-20). But the rest of mankind, who were not killed by these plagues, did not repent of the works of their hands, that they should not worship demons, and idols of gold, silver, brass, stone, and wood, which can neither see nor hear nor walk. And they did not repent of their murders or their sorceries [drugs] or their sexual immorality or thefts (Rev. 9:20-21). And when they [the Two Witnesses, Moses and Elijah] shall have finished their testimony, the Beast that ascends out of the bottomless pit shall engage them in war, and overcome them and kill them (Rev. 11:7). Then the seventh angel sounded (Rev. 11:15). Now I saw heaven opened, and behold, a white horse. And He who sat on him was called Faithful and True, and in righteousness He judges and makes war. His eyes were like a flame of fire, and on His head were many crowns. He had a name written that no one knew except Himself. He was clothed with a robe dipped in blood, and his name is called The Word of God. And the armies in heaven clothed in fine linen, white and clean, followed Him on white horses. Now out of His mouth goes a sharp sword, that with it He should strike the nations. And He Himself will rule them with a rod of iron. He Himself treads the winepress of the fierceness and wrath of Almighty God. And He has on His robe and on High thigh a name written: KING OF KINGS AND LORD OF LORDS (Rev. 19:11-16). Then the seventh angel poured out his bowl into the air, and a loud voice came out of the temple of heaven, from the throne, saying, “It is done!” (Rev. 16:17). And there were loud voices in heaven, saying, “The kingdoms of this world have become the kingdoms of our Lord and of His Christ, and He shall reign forever and ever!” And the twenty-four elders who sat before God on their thrones fell on their faces and worshiped God, saying: “We give You thanks, O Lord God Almighty, The One who is and who was, because You have taken Your great power and reigned. The nations were angry, and Your wrath has come, and the time of the dead, that they should be judged, and that You should reward Your servants the prophets and the saints, and those who fear Your name, small and great, and should destroy those who destroy the earth.” Then the Temple of God was opened in heaven, and the ark of His covenant was seen in His temple. And there were lightnings, noises, thunderings, an earthquake, and great hail (Rev. 11:15-19). And there were noises and thunderings and lightnings; and there was a great earthquake, such a mighty and great earthquake as had not occurred since men were on the earth. Now the great city [Jerusalem] was divided into three parts, and the cities of the nations fell. 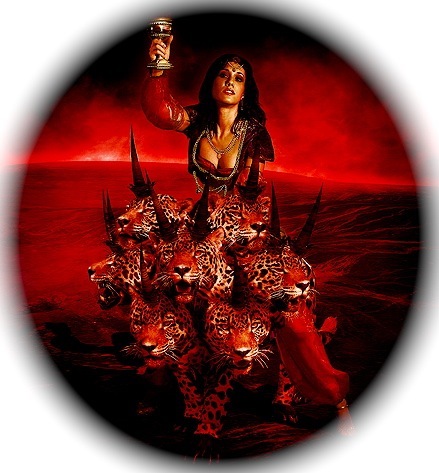 For great Babylon was remembered before God, to give her the cup of the wine of the fierceness of His wrath. Then every island fled away, and the mountains were not found. And great hail from heaven fell upon men, each hailstone about the weight of a talent. Men blasphemed God because of the plague of the hail, since the plague was exceedingly great (Rev. 16:18-21). Of the trumpets and vials, the first set concerned curses of earth; the second, the sea; the third, rivers and fresh water; the fourth, the sun; the fifth, throne of the Beast and soldiers of the Destroyer; the sixth, the Euphrates River and released demons, and; the seventh, thundering and lightening in a global storm with a devastating earthquake and crushing hail. Three different visions were disclosed: the view of the Firstfruits; the view of the Ingathered Harvest; and the view of the rebellious world; I joined these things together for one view of what is to come. 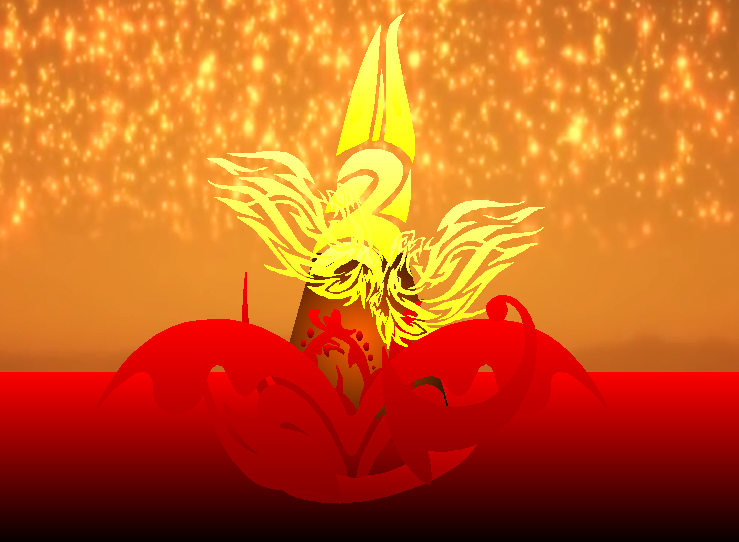 As for the Year of Vengeance, the Lord Himself reveals the primary cause for the wrath poured-out upon the world- because “Babylon was remembered before God.” “She has made all nations drink of the wine of the wrath of her fornication,” exclaimed the angel. This Babylon, which has fornicated with the nations, brings God’s wrath on her and the nations of her fornication. Thus, the revelations continue for several chapters, and Babylon must now come into focus. Before the king of the Babylonian world falls, although Rome has already fallen as the world leader (that it was in John’s day) in commerce and religious authority over Western nations, first the harlot of Babylon must fall into complete ruin. 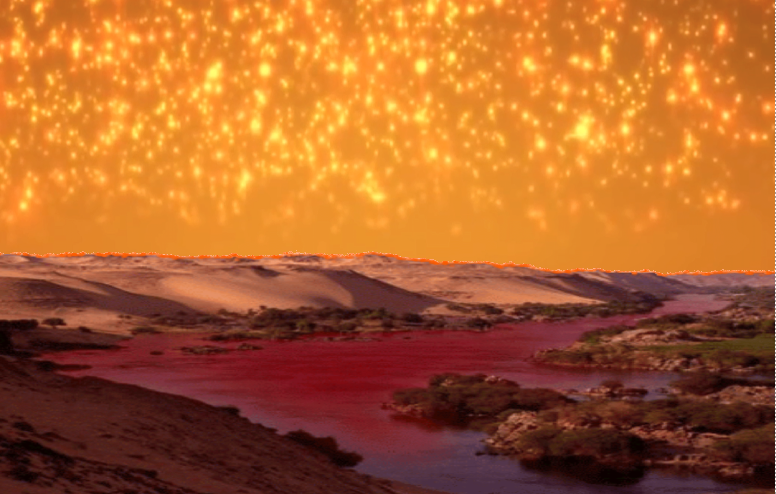 The Euphrates River being dried-up during the Apocalypse is a sign. It points us back to when the ancient city of Babylon was destroyed when the waters of the Euphrates River were abated for Cyrus’s army to sneak in. Also, a river went out of Eden that watered the garden and divided into four heads: 1) Pison, meaning flowing; 2) Gihon, meaning stream; 3) Hiddekel/Tigris, meaning rapid/arrow; and 4) Euphrates, meaning rushing/fructifying. These four were a sign of God’s Word going out to the four corners of the world (figuratively speaking), since our beginning. There would have been no paradise in southern Mesopotamia without the rivers, and there can be no paradise in the coming Kingdom for those who have forsaken the waters of the Word. From a flowing little stream, to a rapid, rushing river, the Word was sent to bring forth spiritual fruit to the world. Yet at the end of the age, the Word is dried-up for the wicked, like a spiritual drought, and their fruitless nations, collectively called “Babylon,” will be cut-off. Babylon has forsaken the Word of God to fornicate with the nations, and from the dry river bed demons are released to deceive the world. With Babylon destroyed, the true Bride citizenry will be established. With the preaching of the Gospel comes the accountability, with judgment beginning in the House of God and ending with a world of wickedness subdued for the coming dominion of the everlasting King. Beyond the Year of Recompense, the work of the Great King will continue to guide the nations with a “rod of iron” during the Great Sabbath. Israel and Jerusalem will be renewed in the glory of a great victory, yet the nations will not be made holy instantly. 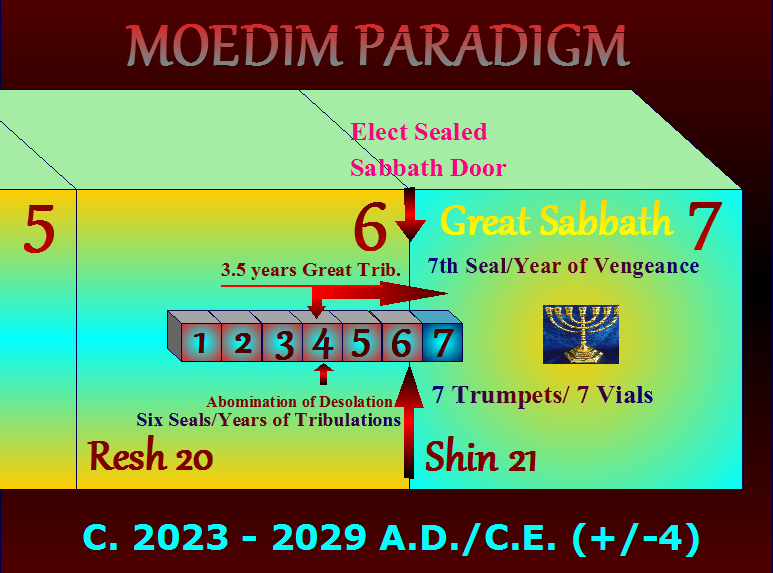 The work of God in the world is through the process of time with wisdom, even until the final judgment of the nations on the 8th millennial day- the Great White Throne Assembly. The saved nations will be rebuilt with righteousness and made with honorable pillars of peace and justice, and evil will be purged. But for those who refuse to hear the words of the servant Elijah for Sukkot, and further refuse to keep the Sukkot of God when Messiah reigns in His dominion, they will receive no annual rain.